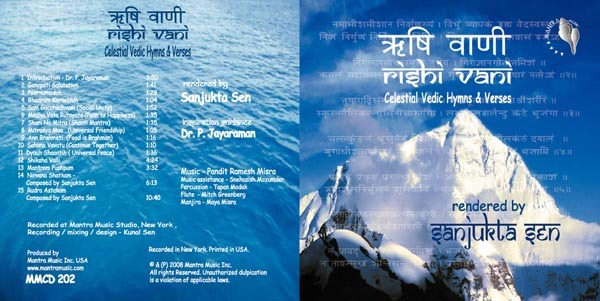 Rishi Vani, Celestial Vedic Hymns & Verses , is the musical offering of the selected hymns from the ancient Vedic scriptures. These hymns convey the basic principles of unity, coexistence, brotherhood, well-being of the universe and all-round peace. such as Upanishad and Bhagavadgita. Pandit Ramesh Misra musically ornamented Rishi Vani.